If you are getting a tablet rental, you are probably doing so because you need a device which is compact, easy to use, and lightweight. There are a whole lot of tablets out on the market, and depending on whether or not you will need a specific operating system for your event, there may be a whole lot of tablets for you to choose from. One way to narrow down your search for the perfect tablet rental is by searching through tablets by weight. Since having a tablet which weighs five pounds isn’t very practical in most occasions, this article is dedicated to showing you some of the lightest tablets out on the market – or specifically tablets which all weigh under one pound. The Sony Xperia Z4 is large but light, weighing less than a pound in both WiFi only and WiFi + cellular data variants. The Xperia has the largest display size in this article, coming in at 10.1 inches. If you are interested in this device, keep in mind that it runs on Android so if you have software which requires iOS, consider the next tablet on the list. While Apple’s new iPad Pro is quite powerful, it weighs in just over one pound so I couldn’t put it on this list. However, if you need a lightweight iOS device the iPad Mini 4 may suit your iPad rental needs. The Mini 4 comes equipped with a 7.9 inch retina display and weighs .66 pounds for the WiFi only model and .67 pounds for the WiFi + cellular data model. Weighing in at .95 pounds on the WiFi only variant, the Samsung Galaxy Tab S3 narrowly squeezes into this article. The S3 boasts a 9.7 inch Super AMOLED display. Samsung has been testing around with some new ideas with their tablets, and the S3 comes with a stylus called the S Pen and can also be coupled with a keyboard. The HP Pro Tablet 608 is what some might dub an “oldie but a goodie”. The 608 released back in 2015, but it is one of the only Windows tablets that I could find which weighs less than a pound. The 608 comes equipped with a 7.86 inch display and a version of Windows 10. 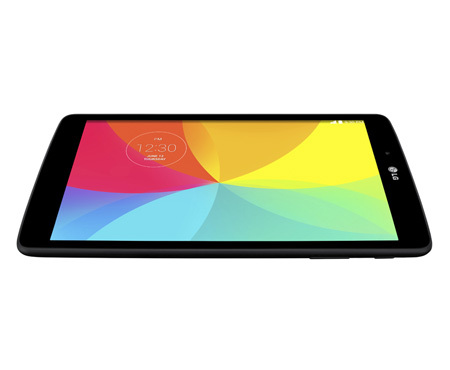 The LG’s G Pad series, most known as a copy of the Google Nexus 7, has upgraded to the new G Pad II. The G Pad II, unfortunately, won’t be able to make it to the IFA 2015 in Berlin. It’s not quite clear on prices and usability just yet, but we may be looking at a pretty cheap tablet. The Snapdragon 800, which is the G Pad’s processor, is almost 2 years old, but they have it running on Android 5.1.1 Lollipop. It also has a 10.1-inch screen that uses about 224 pixels-per-inch, which doesn’t even compare to the upcoming Samsung’s 9.7-inch Galaxy Tab S2. Just about the only thing that’s cool about this device is its decent battery life. It’s a 7,400 mAh battery with a more energy-efficient processor. The only color option you get to choose from is bronze, that’s it. The G Pad II will also be including an e-reading mode that reduces blue light output. They claim this will let your read for hours without getting a headache. This tablet doesn’t seem like the most thrilling new device on the market. iPads and Android tablets are only getting bigger and better. If you don’t want to put all that money into a full-blown Android tablet and just want a cheap tablet that runs the latest Android with an “ok” battery life, then you’re best bet would be the G Pad II. 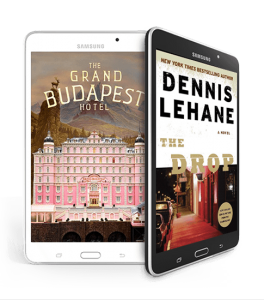 Samsung and Barnes & Noble have teamed up to put together a brand new tablet. They have officially unveiled their collaboration. 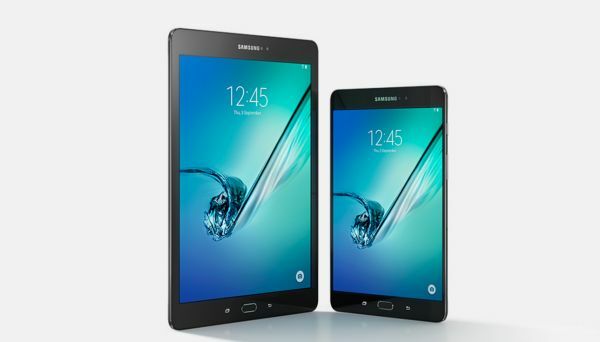 It is called the Samsung Galaxy Tab 4 Nook. Basically, the tablet looks pretty identical to the standard 7 inch Galaxy Tab 4. The main difference is that it comes loaded with Barnes & Noble Nook software. The tablet can still use and run on Android software. If you choose to go that route, the software will be modified to include the Samsung features along with the Barnes & Noble features. This means that there will still be the Nook shop, but it will also have features that Samsung would build into it like the ability to run apps and open multiple windows at a time on the home screen. Barnes & Noble announced that the new tablet will be available today. It costs $179 and Barnes & Noble is also throwing in $200 worth of apps and books, all for free. A couple months ago, Barnes & Noble announced that they wouldn’t be making their own Nook tablets anymore. In June, Samsung and Barnes & Noble announced that they would be working together to bring us the next installment of the Nook, but they did a really good job at keeping all of the details quiet. This is the first thing we have even heard about it, and it is already out. Enjoy! For all of you out there that have to wear glasses, wouldn’t it be nice to be able to sit back and read a book or surf the web on your tablet without wearing them? As it turns out, pretty soon you will be able to. With new technology, screens will be able to correct vision problems. The technology is going to be able to change the way images are displayed on a screen based on your glasses’ prescription. The screens will use different algorithms along with light filters to do this. Each pixel will be changed, and when the light passes through little holes in the screen, it will reach your eyes in a way that makes the image sharper for you as if you were either wearing glasses or had perfect vision. This can also work for people that can’t be helped with glasses. Even those who have physical defects that distort their vision could benefit from this technology, which is incredible. There have been a few other companies that have attempted to create products like this before, but it has never really worked out to the extent that these new screens are going to. Brian A. Barsky, a computer science professor at Berkely, is working on this along with researchers from MIT and Microsoft. They are going to present a research paper at the International Conference and Exhibition on Computer Graphics and Interactive Techniques that explains the whole project. The next step is to figure out how to use this technology to create a product that real life people can go out and buy and use on their own. There are still a few obstacles left to overcome, but the team is confident. At the moment, only one person specifically would be able to use the product based on their needs and their needs alone. But they are working on being able to make a product that has settings that can be changed and used by multiple people and shared. Microsoft has been struggling a little bit, especially after having to cut out so many jobs. New news from Lenovo just adds to the pain. Lenovo is the worlds largest PC vendor, and they have said that they are going to some selling one of their small screen Windows tablets in the United States. On Thursday Lenovo confirmed that the 8.3 inch Thinkpad 8 would not be available on store shelves in the states anymore. On top of that, the 8 inch Miix 2 has already sold out in the states and there has been no word on restocking. This means that Lenovo is going to have zero small screen tablets available in the U.S. The company has observed that their customers in the U.S. are more interested in Windows tablets with bigger screens, and they are really happy with the response that the ThinkPad 10 has gotten. The ThinkPad 8 has done way better in other markets like China, Brazil, and even Japan. They are pretty much just delivering the goods where they are wanted the most. Smart move for Lenovo, bad news for Microsoft. The small demand may come from the fact that Microsoft ignored the small screened tablet world for a very long time. The iPad mini was already out and so were a lot of other Android and tablets, including Samsung’s Galaxy tab, before Windows even offered support for tablets of that size. By that time it was too late and the market had already been spoken for. Even Asus, Acer, and Dell has their own smaller tablets out on the market that had been doing pretty well. And even now, some of the apps for Windows are a little wonky on smaller screens. It’s just not working. Microsoft still has a lot going for them with tablets. They do great with larger ones. 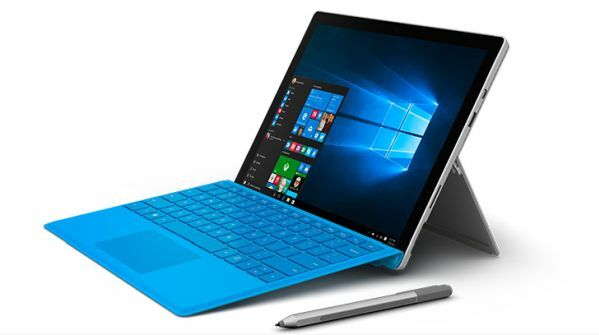 They provide a superior computing experience, and tablets like the Microsoft Surface Pro 3 have gotten awesome reviews. Lenovo will probably offer smaller tablets again at some point, but for right now Microsoft is going to have to focus on their bigger tablets and possible start working on a game plan for their next shot at a big release of a smaller tablet. They have said that they will probably still put out another one in the U.S. before the end of the year to see how it does, so Microsoft should start preparing. Our whole lives, we have been taught that you get what you pay for. Generally when we see a high tech gadget that is priced well below its competitors, we automatically assume that it is no good, and we should just save up for the upgrade instead of giving in to the good price and ending up disappointed. This new budget priced tablet from Toshiba, though, may just change the way we think about budget priced devices. 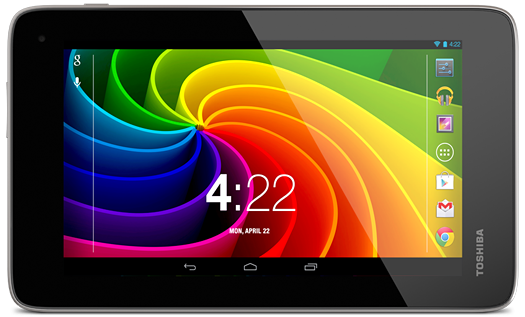 The 7 inch Toshiba Excite Go runs Android 4.4 KitKat and is priced at a mere $99. One of the reasons that we may associate low price with low quality is that generally, top notch companies like Toshiba wouldn’t be putting out cheaper products. Most budget priced electronics are made by knock off brands that no one has ever heard of, or well known companies that are well known for being terrible. They generally leave much to be desired and feature bottom of the barrel components and specs. Would a bigger name like Toshiba let themselves put out such a cheesy product, even if it was cheap in price? So far, it is looking like the answer to that last question is “no, they wouldn’t”. The Toshiba Excite Go is actually looking like it is going to be a pretty solid tablet. It has a 7 inch display, a 1024 x 600 pixel resolution, and it is powered by a quad-core Intel Atom processor. The internal storage is pretty impressive for a budget priced tablet as well. It has 16GB of internal storage, and it also has a MicroSD card slot so that you can upgrade your memory by up to 128GB extra. Looking at all the specs, it doesn’t seem like this would be a very low priced tablet at all. It seems like it could actually be a pretty competitive device. It also offers up to 8 hours of battery life with normal use and up to 6 hours of watching videos. It looks like Toshiba may be able to change the way we think about budget priced electronics with the launch of this new tablet. For just $99 maybe they will actually be able to deliver the performance and features that we all want for a price that we can all afford. I guess we will all be able to find out in June with the Toshiba Excite Go officially launches. Are You Looking For An Affordable Tablet Rental? Contact www.RentOurTablets.com At 888-736-8301 Today! Microsoft’s CEO, Satya Nadella, announced that Office for iPad is will be available for tablet users. Microsoft plans to introduce Office apps for tablet computers running Google’s Android system as well. Critics state that Microsoft has waited far too long to introduce Office to iPad tablets, which nearly 200 million have already been sold. The iPad apps for Microsoft Powerpoint, Excel and Word are all free in the app store. From these apps, you’ll be able to read and present your information. The launch of these new apps lets you create and edit your documents, calculate spreadsheets and also design professional presentations. Mobile office apps have already been launched for the iPhone and Android smartphones, so of course Microsoft and Apple would target tablets next. A personal subscription to Microsoft Office for your computer and tablet is due this spring for $69.99 a year. Microsoft has said that the Office iPad apps would be free to users who want to use them in “read-only” mode, but to be able to create work on the app users will have to pay an annual subscription fee to get Office 365. Huawei announced two new products for its MediaPad line of devices along with their first wearable device at GSMA Mobile World Congress 2014. With the addition of the MediaPad X1, the worlds slimmest 7 inch LTE all in one phablet, the TalkBand B1, and the MediaPad M1, Huawei is making wireless technology more accessible to a wider range of consumers. Richard Yu, CEO of Huawei made it known that he was extremely excited to unveil all of the products at once and deliver what he called “the essential pillars of happiness” without boundaries. Huawei has always delivered quality products that can stand up to any other with no shame, but at a much smaller price point. The Huawei MediaPad X1 gives us all of the same functions of a smartphone and a tablet in one with a full aluminum alloy body. It provides plenty of comfort and useability being only 239g and 7.18mm thick. It features a 7 inch 1200 x 1920 FHD LTPS touch display, which makes the screen to body ratio 80%. Other features include a 1.6 GHz processor, Android 4.2 Jelly Bean, and a super long lasting 5000 mAh battery which can provide up to 21 days of standby time or 5 full days of use. It has a 13MP Sony Exmor R BSI rear camera with panoramic abilities, and a 5MP front camera with self focus, a preview screen, automatic facial enhancement and voice activate capture. The Talband B1 lets you use wireless calling with a Bluetooth 4.1 earpiece with up to seven hours of talk time. It also features a 1.4 inch flexible OLED display. It is compatible with Android 2.3 and up, and also iOS 5.0 and up devices. The TalkBand B1 wirelessly tracks activity time and progress like the amount of steps you take, miles that you covered and how many calories you have burned. It also records how long you sleep and the quality of your sleep. It has a smart alarm and a nap function as well. The device weighs only 26g and is only 14.6mm thick. The TalkBand B1 also features a bendable, curved design with a removable earpiece. The batter will last for 6 days and only takes two hours to completely charge via USB. Huawei’s MediaPad M1 has an 8 inch 800 x 1280 HD IPS multi-touch capacitive display with Huawei SWS technology, two front facing speakers and two microphones. With the 1.6 GHz quad core processor and the 4800 mAh battery, you can get up to 8 hours of video playback on only 1 charge. Coming in at only 7.9mm thick and weighing only 329g, it easily can fit into a pocket or a bag. It has a 1MP front facing camera, and a 5MP rear facing camera for all of you photo sharing needs. The MediaPad X1 and M1 are both pretty fast. You can download files in mere seconds, and whole movies in just one minute with speeds of up to 150 Mbps. They have built in Wi-Fi routers and 2.4/5G dual mode Wi-Fi support with voice call and SMS for instant connection on the spot. There is also an AirSharing function that enables screen sharing and transfers via cloud. Looking For A Tablet Rental For Your Next Event? 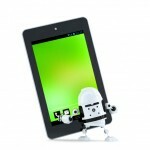 Call www.RentOurTablets.com Today at 888-736-8301 Or Click Here For An Online Tablet Rental Quote!